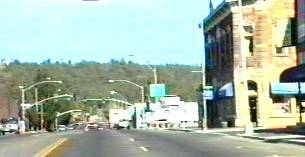 IF you are travelling around northern Arizona you may well end up staying in Flagstaff or nearby Williams simply because of their geographical position. Although we've ended up staying twice in Flagstaff and once in Williams it was done to satisfy a route rather than to see the places. Both towns are packed with small motels to provide accomodation during the winter months where skiing is available in the local area. The altitude is quite high and we've experienced surprisingly cold and wet weather during August and September. 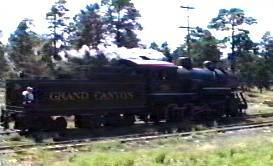 Williams main feature is that it is one end of the Grand Canyon railway where you can catch an authentic looking steam train to the south rim of the canyon. We've seen the train at both ends but never travelled on it.